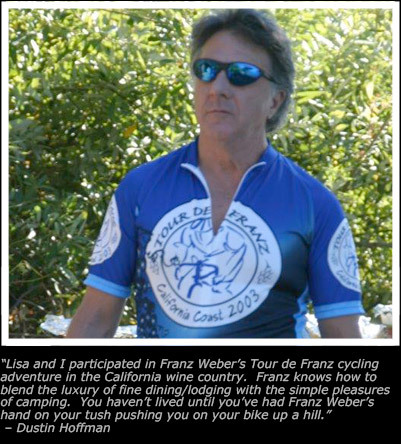 Cycle with legendary champions through California’s wine country and coast or around Lake Tahoe’s California “Alps” experiencing the best in dining and accommodations that the regions have to offer! Enjoy riding through the scenic California Wine Country, through redwoods, along the coast and take in the spectacular views over Sausalito and San Francisco. You will experience incredible and sometimes historic accommodations. Throughout the trip, indulge in the best dining the region has to offer as well as delicious and freshly prepared crab feasts at scenic lunch breaks. An optional round of golf, hiking, kayaking and paddle boarding can also be enjoyed in the afternoons on any of these adventures. The trip will be custom tailored to your specific needs and desires and will make for memories that will last a life time.